John Saccenti, the Las Vegas Bowl executive director, is in Laramie, Wyoming, for Saturday’s Mountain West game between Wyoming and No. 13 Boise State. Where is John Saccenti this week? Somewhere he hasn’t been in a decade. The Las Vegas Bowl executive director is in Laramie, Wyoming, for Saturday’s Mountain West game between Wyoming (5-2) and Boise State (7-0). Wyoming, off to its first 3-0 conference start since 1999, last played in the Las Vegas Bowl in 2004 in an upset win against UCLA. 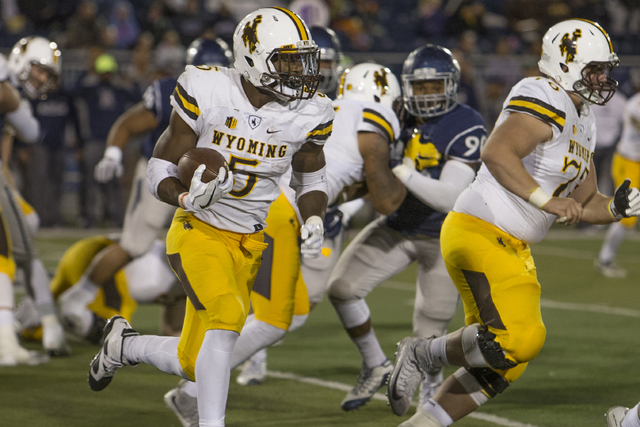 The surprising Cowboys and undefeated Broncos are tied atop the Mountain West’s Mountain Division with 3-0 records. San Diego State leads the West Division at 3-0. Saccenti was in Los Angeles on Thursday for Southern California’s 45-24 victory over California. Saccenti said USC and Cal are two of four teams high on the Las Vegas Bowl committee’s Pac-12 wish list.